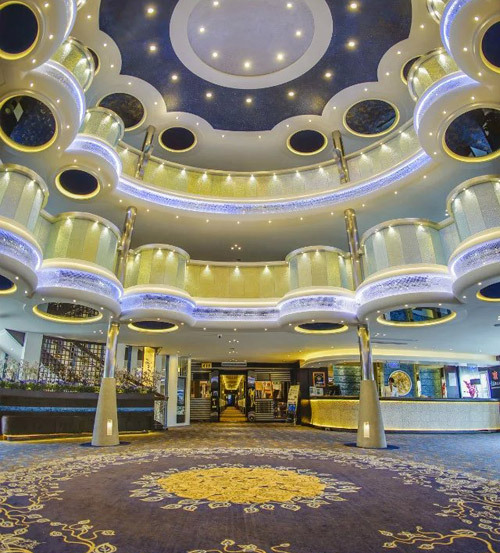 Arrive in Yichang, transfer to the Cruise pier to board the Victoria Jenna/Anna (between 5 p.m. and 9 p.m.). 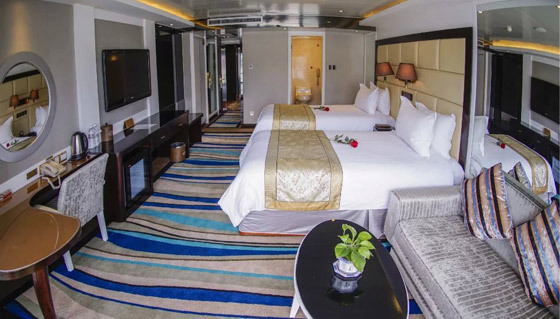 Stay overnight on the cruise ship. 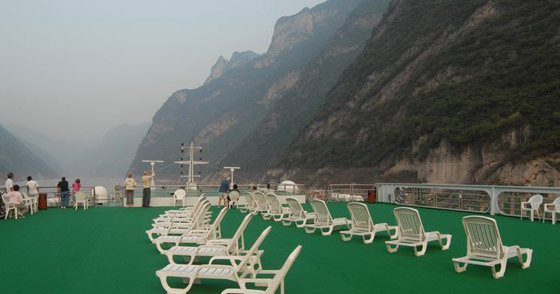 In the morning, sail through the eastern section of Xiling Gorge. 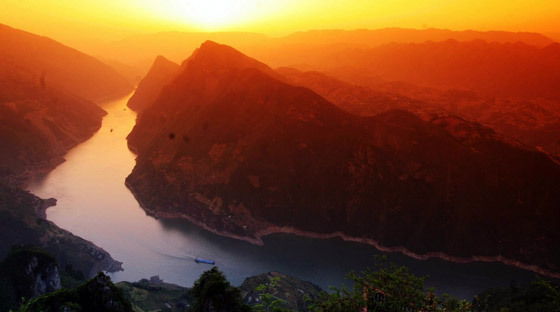 (Optional: Shore excursion to the "Three Gorges People" scenic area at your own expense). 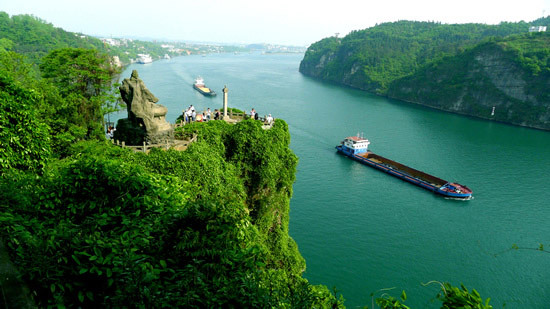 In the afternoon, go ashore to visit the Three Gorges Dam. 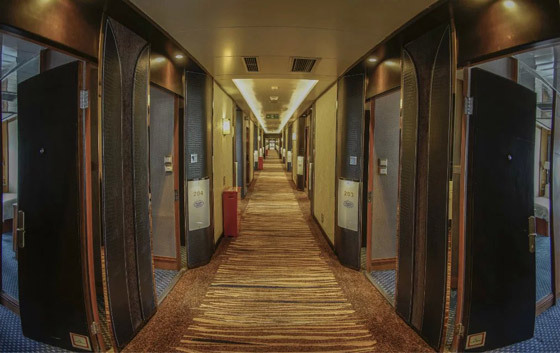 In the evening, the cruise ship will pass the five stages of the ship lock. Buffet breakfast, buffet lunch, and buffet dinner. 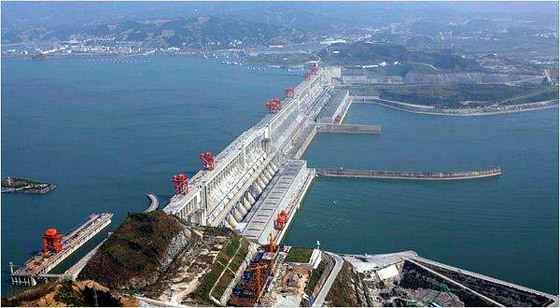 The Three Gorges Dam is the largest water conservancy project ever undertaken by man. 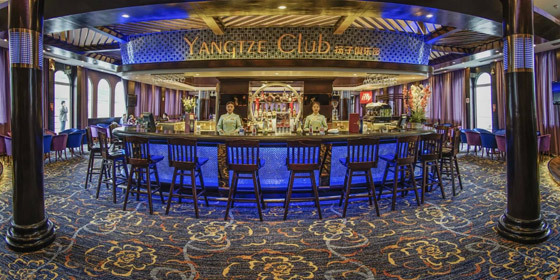 Prior to construction, it was a dream for several generations of many Chinese people. The construction of the dam formally began in 1994. The body of the dam was completed in 2003, and construction was completed in 2009. The dam is 2,335 meters long, 185 meters high, 18 meters wide at the top, and 130 meters wide at the bottom. Tourists can get access to the top of the dam and enjoy unique views from the top of the magnificent structure. 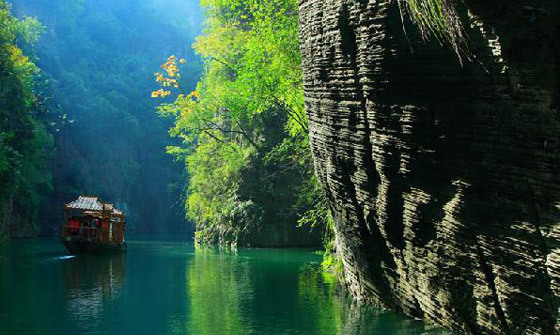 In the morning, pass the Wu Gorge, and then take a small boat to visit Shennv Stream. 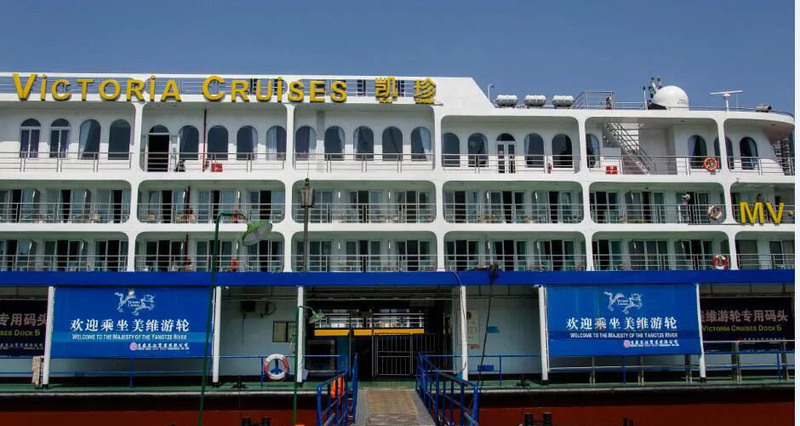 After that, the cruise ship will pass Qutang Gorge. In the afternoon, visitors can elect to take a shore excursion to the Bai Di Castle at their own expense. 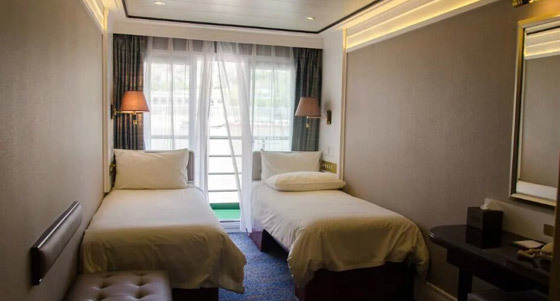 Stay overnight on the cruise ship. 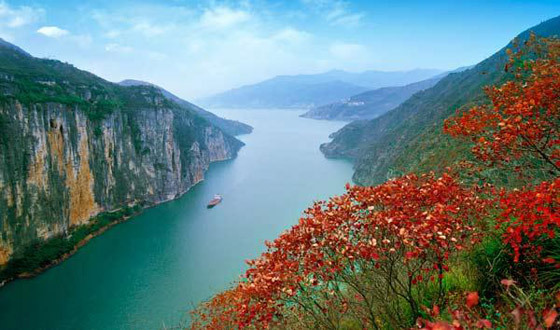 Shennv Stream is another tributary of the Yangtze River. Its fast-flowing, crystal clear water runs southwards through deep gorges. The stream races past large and small karst caves, flocks of swallows, sheer cliffs, deep gorges, waterfalls, three-colored springs, rapids, an ancient plank path, a suspended coffin in a cliff, groups of ancient tombs, and marvelous karst formations. In the morning, take a shore excursion to Shibaozhai, whose name literally means Stone Treasure Fortress. 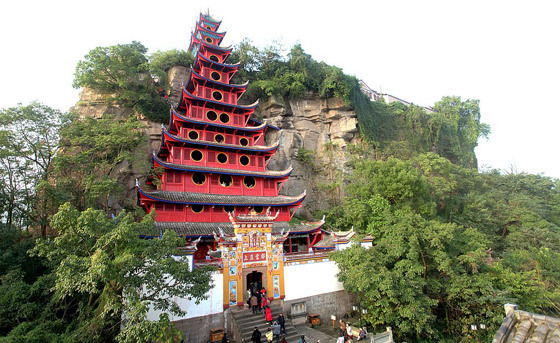 In the afternoon, take an optional shore excursion to Fengdu Ghost Town. 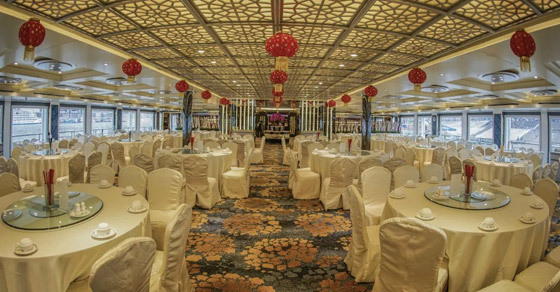 Buffet breakfast, buffet lunch, and captain's farewell dinner. 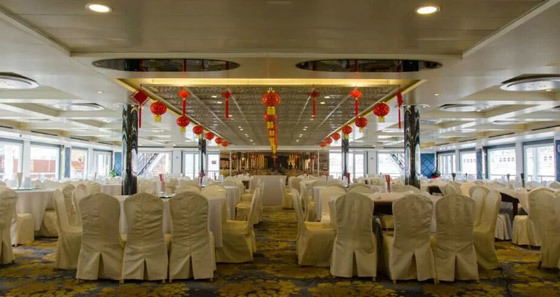 After breakfast, sail to Chongqing pier and disembark (between 8 a.m. and 9 a.m.). End the tour. *Please avoid the National Day golden week as the price usually soars. *The prices are for unspecified floors.